Join us this Christmas for some FREE festive fun that the whole family will enjoy! We’ll have local choirs joining us to bring you some festive cheer, as well as Warrington Signing Choir, the Irish Guards, All Saints Upton Primary School and Palacefields ukulele group set to perform. 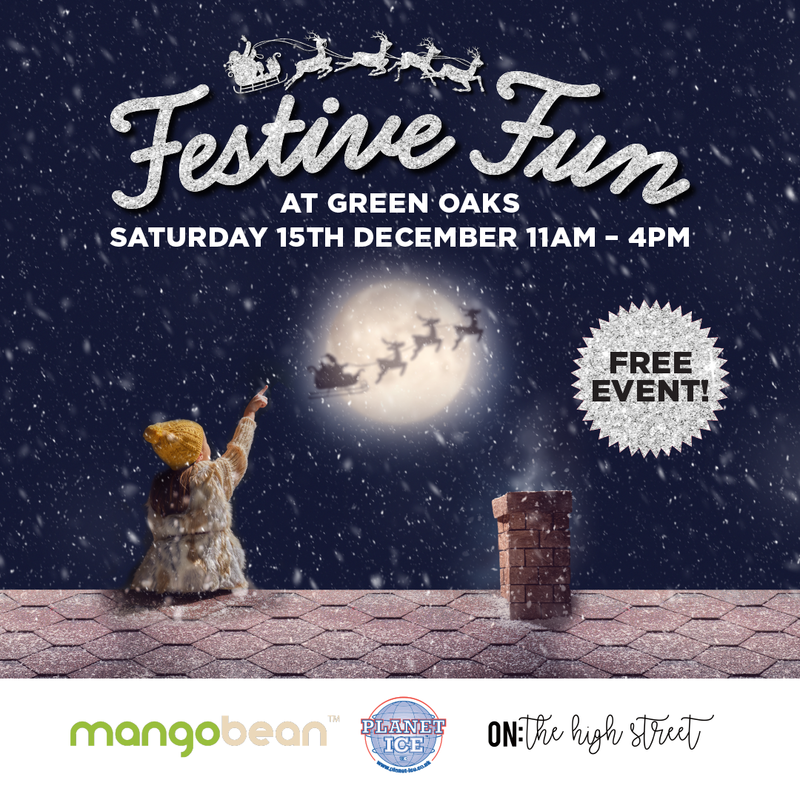 On Saturday 15th December, 11am – 4pm, we’ll also have our very own Green Oaks Christmas Sleigh! Come along and have your photo captured riding through the sky in front of the magical backdrop. You’ll even be given a free photo keepsake so you can hold onto the memory forever. All Sleigh riders will be entered into a draw for the chance to WIN fantastic prizes from Planet Ice Widnes and our very own NB: On The Highstreet & Mangobean! All of our festive fun is completely FREE but we will have a collection box for our charity partner Halton & Haven Hospice if you would like to donate. For all the latest news about our event, give us a like on Facebook so you can keep up to date!